Successful Stephen King adaptations are everywhere right now—but one that didn’t stick its landing is The Dark Tower. Both at the movies and on TV, the future of The Dark Tower series is in up in the air. However, King recently gave fans a glimmer of hope that the story could continue on the page. 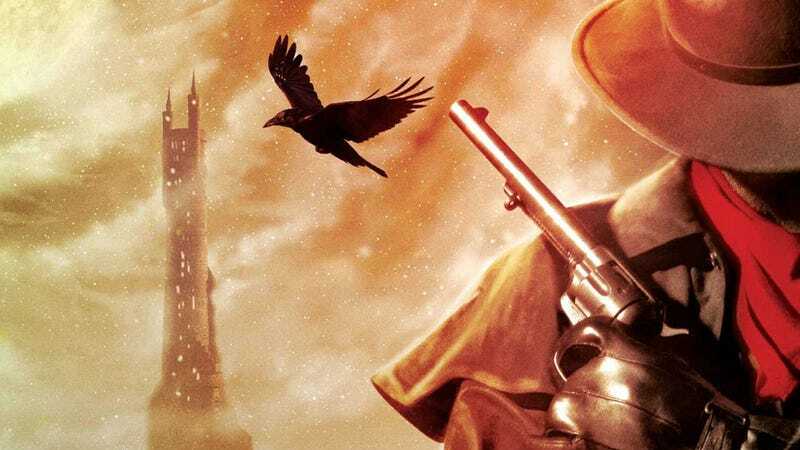 At a recent Q&A, a Dark Tower fan asked King if he would ever write just one more Tower story. King’s response? “Yes, I think that might happen.” You can watch the exchange below. If he does write something new, it wouldn’t be the first time. The “final” book in the main Dark Tower series was published in 2004. Also called The Dark Tower, it was believed to be the end, and it wrapped up the main story. Then, eight years later, King released The Wind Through the Keyhole, which was a prequel that filled a gap in the story. The above fan asks King specifically if he’d do “The Battle of Jericho,” presumably meaning “The Battle of Jericho Hill,” which is another story that takes place earlier in the history of Roland, the main character in the series. It’s mentioned in the books but was told in more detail in the Marvel Comics series. Since the Dark Tower movie already began to tell what happens after the end of the seventh book, a prequel story like the fan suggests seems like a good bet. Really, anything to wash the taste of the movie out of our mouths would be welcome.